Akon Guode sentenced to 26 years' prison over deaths of children in Wyndham Vale lake crash. 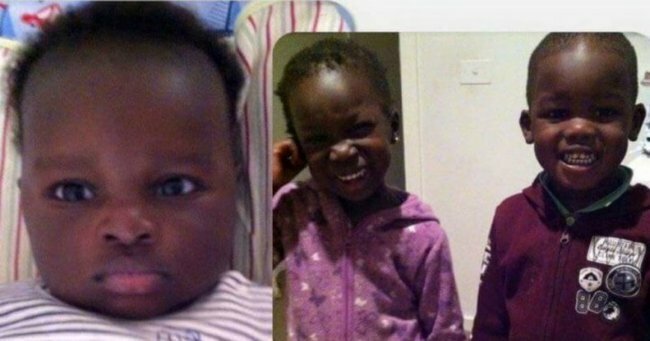 Akon Guode has been sentenced to 26 years and six months’ jail for killing three of her children, and attempting to murder another, when she drove them into a lake in Melbourne’s outer south-west two years ago. The 37-year-old had pleaded guilty to the murders of four-year-old twins Hanger and Madit, and the infanticide of 16-month-old Bol, after driving her four-wheel-drive into a lake at Wyndham Vale in April 2015. She also pleaded guilty to the attempted murder of five-year-old Alual, who survived after she was pulled from the water. Prosecutors did not seek a life sentence over the killings. Justice Lex Lasry said Guode, who survived civil war in South Sudan, suffered post traumatic stress and symptoms of depression, but the reason she drove her children into the lake remained unclear. “The real reason for your actions on this day are in many respects a tragic mystery and have not been explained by you,” he said. “As in other similar cases, this case tests the sympathy and compassion of the community. “People want to understand why you did what you did, because particularly for parents of young children such action is foreign and unthinkable. Guode will serve a minimum 20 years’ jail before being eligible for parole. The court had been told no mother had ever been imprisoned for infanticide in Victoria, which carries a maximum penalty of five years in jail. Justice Lasry said he did not believe Guode was a threat of re-offending. “The sentence I’m about to impose is in some respects inadequate to reflect the gravity of what you’ve done, yet at the same time excessive given your mental state and your background of hardship and desperation,” he said. Guode had to make three deliberate turns of her steering wheel to navigate through the only open access point towards the lake, and one witness had described seeing Guode’s four-wheel-drive going “full bolt into the water”. The court was previously told that at first, witnesses who called triple-0 did not think the car was deep enough in the water to be of any danger to the occupants. Several people ran down to try to rescue those inside and observed Guode standing nearby the driver’s door “not saying or doing anything”. One witness used a steel-capped boot to smash the rear window and freed the submerged baby Bol from his child seat. But the baby, Hanger and Madit could not be revived. The defence had previously told the court Guode had suffered severe psychological trauma from the civil war, which had been left untreated for two decades. Guode came to Australia from South Sudan to escape war after her first husband died. Justice Lasry said Guode would “highly likely” be deported upon release from prison, which “compounded the tragedy” of the case. She had been having a long affair with the father of the children involved in the incident, Joseph Manyang. He described Guode as a caring and loving mother. Mr Manyang separated from his wife after Hanger and Madit were born and the affair became public, but lived separately from Guode and her children. The court was earlier told Guode became too frightened to interact with the Sudanese community.